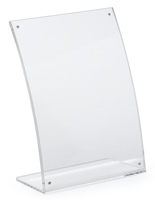 This Picture Frame is Made of Durable Silver Metal and is Featured in a Modern Curved Design. 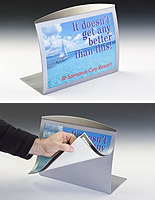 This Picture Frame Uses Magnetic Technology! 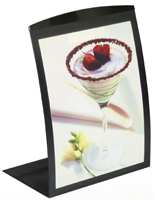 Buy Photo Frames Online, Thousands In Stock! 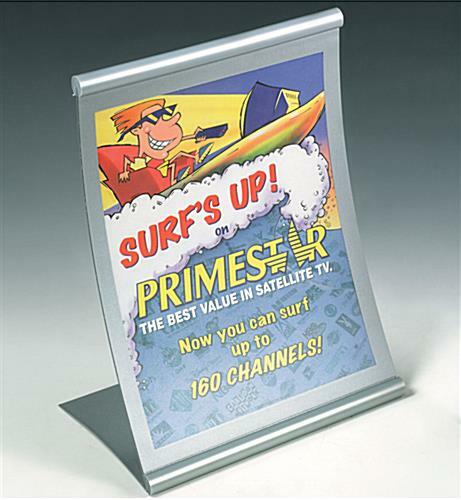 Picture Frame in Silver with Curved Design, 8-1/2" x 11"
Curved Picture Frame – This picture frame features a modern curved display and is striking in a silver finish. 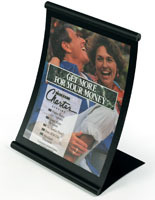 Display your important business information and photographs in this appealing picture frame. 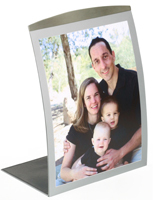 This 8-1/2"w by 11"h picture frame accommodates 8-1/2" x 11" images. 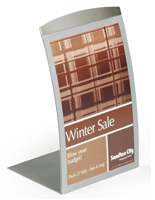 The picture frame is produced from rugged powder coated metal and incorporates the fast changing MagaLens® technology. 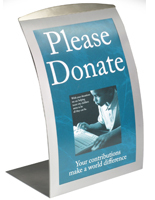 Images are held in place by magnetic edge tape under a rugged Lexan® lens.